The July instalment of CODE features DJ and producer, Adriana Lopez. Hailing from Columbia, Adriana Lopez has been involved in techno since the late 90s and was resident at Bogota's famous BarC techno club for 2 years. However, it was a move to Spain in 2002 which served as the launchpad for her career as a DJ and for her label, Grey Report. Since arriving in Spain, Adriana has released music on a wide range of other labels, notably Oscar Mulero's Pole Group imprint and Developer's Modularz - both of whom are former CODE guests and big supporters of her work. 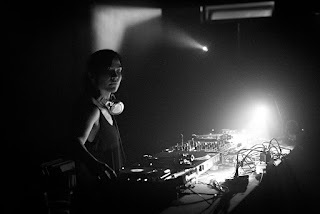 Using a combination of vinyl and CDJs, Adriana's sets are technically outstanding and explore a wide range of powerful, hypnotic and driving techno. Support from CODE resident Nick Morrow. Tickets are available over on Resident Advisor where the quick and well organised can find a limited number of reduced price tickets.